While a car accident can be devastating and disorienting, the actions you take directly after the collision can have a significant impact on the kind of compensation you may be able to receive. 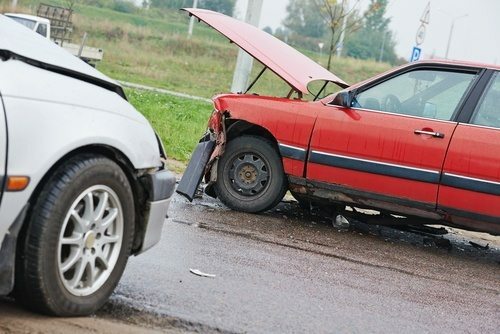 Here are five things you must absolutely do directly after a car accident. Surprisingly, many car accident victims neglect to call 911 or law enforcement after an accident occurs, even when they are able to. This is particularly true in cases where injuries may not seems serious right away. If you’ve been in a car crash, call 911 or the police as soon as possible. This can help you protect your right to compensation later on. Frequently, an accident will cause another accident if the vehicles are not moved out of the way quickly enough. Serious damage and further injury can occur when another car strikes one or more vehicles that have been involved in an accident. If possible, move your car to the shoulder of the road, or even a nearby parking lot. Photographs are key to illustrating to the court the seriousness of a car accident. If you are able, or if you have a friend who is able, take as many photos as possible of the accident, the damage to the car, and your injuries. Witness statements are another important part of a car accident compensation claim. Before you leave the scene, get the names and phone numbers of any witnesses. If you neglect to obtain witness information at the scene of the accident, it is extremely difficult (if not impossible) to go back and get statements from the individuals who were there. After you have called 911 or Ocala law enforcement, it is important to contact a car accident attorney. Many people wait to reach out to a personal injury lawyer until much later, when the facts of the case have been reduced to paper. By working with an attorney soon after the accident, your attorney will have access to the maximum amount of information about your case, including being able to see your injuries and the damage caused by the accident first-hand. At the Slonaker Law Firm, we are passionate about protecting the rights of individuals who have been injured in vehicle collisions, and we can provide you with the razor sharp legal representation you need to face your case with confidence. Don’t let the person responsible for your car accident get away with negligence — contact the Slonaker Law Firm today for a consultation by calling 352-629-6656 or toll free at 888-629-6656.